The Verizon iPhone has featured in the American media a lot of times. Really allot. Once upon a time, Apple was criticized to have been stuck on the AT&T network, famous for their crazy 3G plans and call drops. Though this did not stop the sales of the Apple iPhone, it indeed put a pause to it, at some stage which wasn’t seen in the graphs. Sales were so high that this considerable amount of guys on Verizon who actually wanted to own iPhones but couldn’t didn’t make it to the statistics curves. But Apple has moved on, well further and will be launching the iPhone on Verizon this week. It still is unknown if the Verizon iPhone will be just an AT&T iPhone 4 with a different band for 3G or an LTE device. Considering Verizon’s fast rollout of LTE in a phased manner in the USA presently, Apple wouldn’t want to not implement a newer technology to fish in buyers. However, the Verizon iPhone will not have any new features, over the iPhone 4 on AT&T as this might lead to a lot of confusions. Apple, still has its customer base on AT&T and just ’cause they’re launching on Verizon can’t let their old customers with the 4 and give Verizon users something entirely new. This is not happening. Apple has never taken part in shows like CES or MWC and is always known for their sweet lil’ conferences, termed Keynotes in their headquarters, Cupertino. Every product you see today from Apple was launched there, with Steve Jobs walking up the stage and using his presentations along with marketing catchy words. Apple sets up everything for them in a way that the audience is with them, right from the launch. They never let anyone else announce their product, too. So far, yes. But, it looks like Verizon will be launching their iPhone this Tuesday in one of their events instead of an keynote event by Apple. Apple certainly knows what they’re doing, Verizon is known for their slap-on-the-face marketing strategy with AT&T where they openly criticize, contrast and compare, proving theirs is the better one. On the other side, Apple has a very good relationship with AT&T and its customers, so Apple wouldn’t want to let this happen. Jobs got this right and he might just be attending the Verizon event, whatever happens there isn’t under Apple’s control, aye? It’s Verizon’s event! Apple’s keynotes have always had some new and big announcement for the people, the very presence of a keynote excites people worldwide and live streams go up in minutes. This time, Jobs really doesn’t have much to say/launch, except the Verizon iPhone. Considering their standard keynote format, a couple of new products and new services/updates always come out then. With the launch of the iPad2 nearing closer, Jobs decided to save this keynote for that. 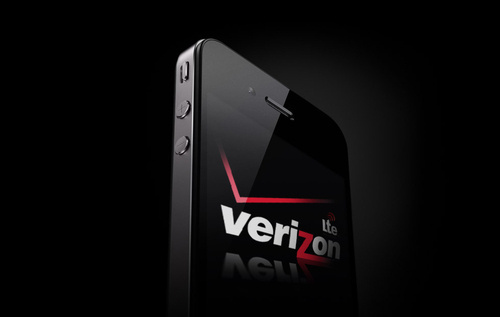 The Verizon iPhone, if on LTE, might be an instant hit. Considering the number of LTE phones that are coming up, running on Android, the iPhone might just hit the right target. Pricing might more or less be on par with AT&T, while data plans and other details are a major factor in its success. With a ton of Android devices getting launched every month, half of the population using smart-phones are already in the process of shifting to an Android device, considering its openness, usability, features and their own choice of network operator/SIM card in most of the phones. Apple certainly needs to buckle up and get back on their tracks. A well gained image in the industry is slowly fading, Apple wouldn’t let this happen. The Verizon iPhone will indeed be a game changer for Apple, at least for the near future. 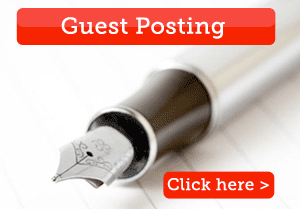 « The Internet Printing Protocol: What is it ? It’s always good for two providers to have the same phone. That gives us buyers more discounts and get better service, since they will compete with each other to get more buyers.